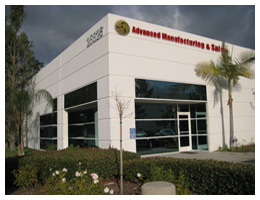 Advanced Manufacturing & Sales (AMS) is a leader in providing quality cable assembly manufacturing and design support. AMS focuses on long term customer partnerships by executing to: Free (competitive), Perfect (quality), and Instant (on-time). AMS is looking for customers that require expertise in more than just cable assemblies; we also have experience in kitting, labor intensive Value Added Services, turnkey manufacturing . . . and if you need help sourcing a part we have the Global partnerships to find it. We excel in implementing High Level Supply Chain Solutions to compliment our customer requirements along with the value added services from AMS. The Customer always comes first, we WORK HARD every day to provide perfect service, we WORK SMART to deliver instant, and we NEVER QUIT until our customer is satisfied.